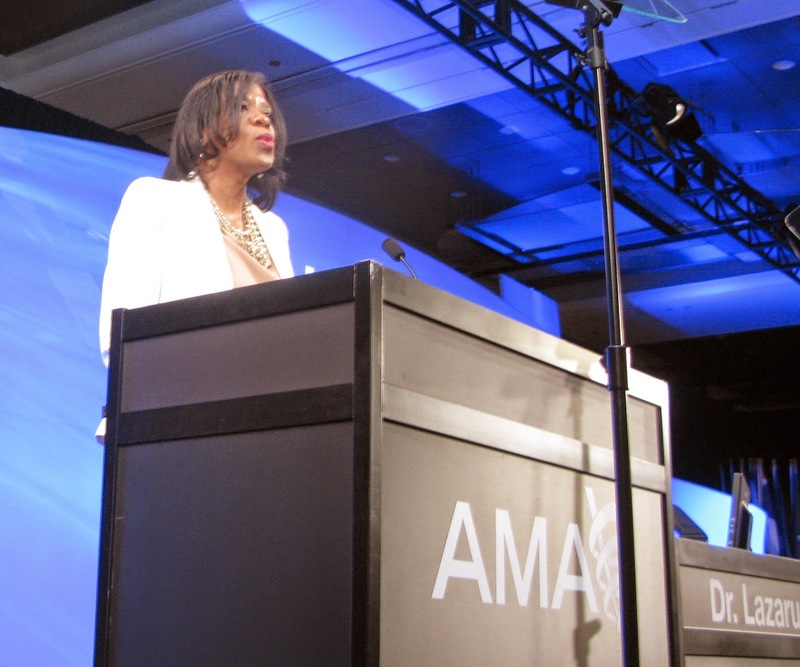 Membership in the AMA is up for the third year in a row, said psychiatrist and AMA Trustee Patrice Harris, M.D. At the annual policymaking meeting of the AMA, which began this weekend in Chicago, Harris—a former member of the APA Board of Trustees—painted a bright picture of the AMA’s financial position with an increase in total revenue last year. Especially good news was the fact that in 2013 the AMA recorded an increase in membership for the third year in a row; revenue from membership dues increased across all member categories, without an increase in dues rates for members, Harris said. At the meeting this week, AMA delegates will be considering a number of reports and resolutions of vital interest to psychiatry, including several brought by the Section Council on Psychiatry. Among the issues to be discussed are head injuries and concussions associated with youth sports, gun violence, adequacy of health plan physician networks to provide true access to care for patients, and Medicaid payment to psychiatrists. Harris delivered her report on AMA finances this morning at the opening of reference committee hearings where reports and resolutions are debated before being sent to the House of Delegates; the House will be meeting Monday through Wednesday. "The AMA is well positioned strategically and financially to pursue its ambitious agenda to improve the health of the nation,” Harris told delegates. Look for additional Alerts and upcoming editions of Psychiatric News for more coverage of the AMA meeting.